The International Laser Class sailboat, also called Laser Standard and the Laser One is a popular one-design class of small sailing dinghy. According to the Laser Class Rules the boat may be sailed by either one or two people, though it is rarely sailed by two. The design, by Bruce Kirby, emphasizes simplicity and performance. The dinghy is manufactured by independent companies in different parts of the world, including LaserPerformance Europe (Americas and Europe), Performance Sailcraft Australia (Oceania) and Performance Sailcraft Japan. 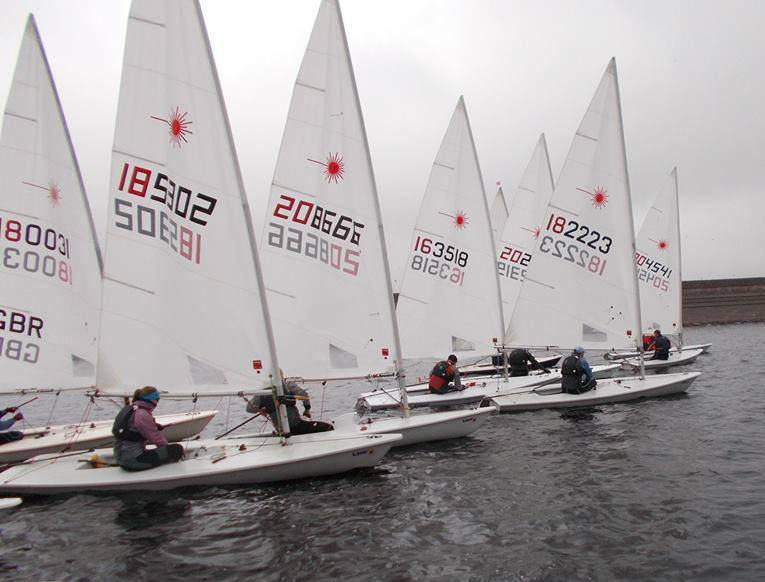 The Laser is one of the most popular single-handed dinghies in the world. As of 2012, there are more than 200,000 boats worldwide. A commonly cited reason for its popularity is that it is robust and simple to rig and sail in addition to its durability. The Laser also provides very competitive racing due to the very tight class association controls which eliminate differences in hull, sails and equipment.